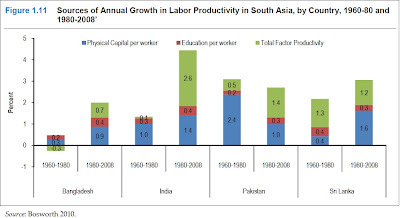 ^^RH: "The report argues that South Asia region needs to create a million jobs a month just to keep up with the growth of the workforce." This is silly. 12 million jobs a year is too low given South-Asian demographics. Indian Government is reporting jobs needed as 20 million a year for next ten years. GOP is reporting jobs needed at 2.5 million a year for next ten years. 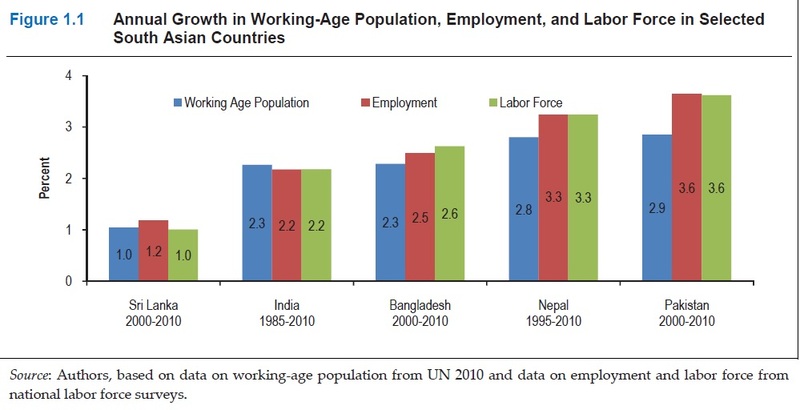 Bangladesh is is reporting jobs needed as 2.5 million a year for next ten years. 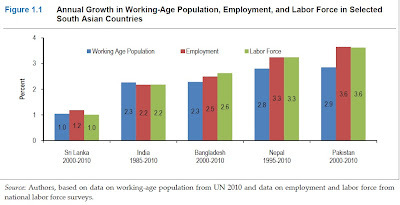 So I would say that "South Asia" needs at least 25-26 million jobs per year over next 10 years in order to prevent the formation of a "lost generation of youths". Dr Abraham believes that existing jobs may have been drying up in India for a while now. Jobs in farming where nearly half of Indians are engaged for their livelihood - too many people cultivating too little land - are disappearing. Successive droughts and unremunerative prices have pushed people out of farms to seek jobs in construction and rural manufacturing. A McKinsey Global Institute study says farm jobs had reduced by 26 million between 2011 and 2015. But a slowdown in growth - GDP growth has been falling for six consecutive quarters and hit a three year-low of 5.7% during April-June - triggered in part by a controversial cash ban last year and July's imposition of a sweeping but clunky Goods and Services tax that has adversely affected labour-absorbing sectors like farming, construction and private businesses, hitting jobs further. Hiring in more than 120 companies - metal, capital goods, retail, power, construction and consumer goods - has fallen, according to an analysis by The Indian Express. This, a top HR executive told the newspaper, "reflects upon the lack of expansion plans and near-term growth expectation of these companies". India's Economic Survey says creating jobs is India's "central challenge". More than 12 million Indians will be entering the labour market and looking for jobs every year until 2030. Some 26 million Indians - roughly a population equal to Australia's - already are looking for regular work. India has a curious jobs problem. Unlike in the West, there are no dole queues, for example, which are a marker of unemployment. Economist Vijay Joshi says poverty and lack of a social security system "ensure that most people have to scratch a living somehow, simply in order to survive". Also there are many "openly unemployed people" who are supported by their families. Then there's a vast amount of underemployment - too many people sharing work that could be done by fewer hands. Many work for long hours with poor returns. Also, most people - more than 80% of the labour force - work in the sprawling, unorganised or informal industries with poor working conditions, paltry wages and scanty benefits. Very few of these jobs lead to security of income, location or employment. Only 7% of Indians actually work in the formal economy with full benefits, according to estimates.